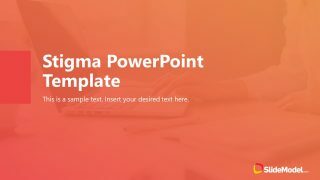 Resume Template for PowerPoint is a comprehensive template that you can easily download to make awesome resume presentations in PowerPoint. 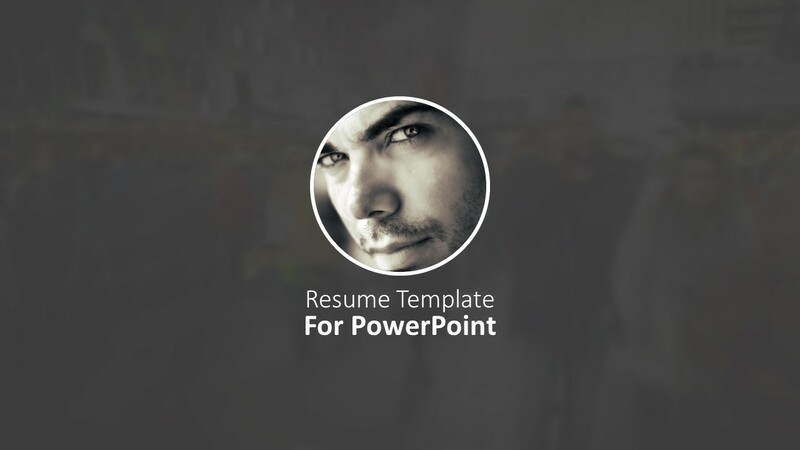 You can create your updated Resume in a PowerPoint presentation and share the PowerPoint with your potential employers. 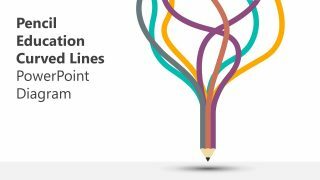 You can easily fill the editable resume templates using PowerPoint and submit it with Human Resources department or send it to multiple companies. 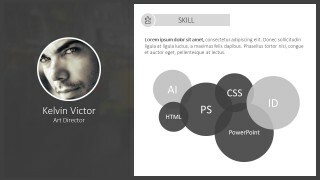 This PowerPoint template is made for easy download for your awesome digital resume. Clean and simple resume PowerPoint presentation templates. 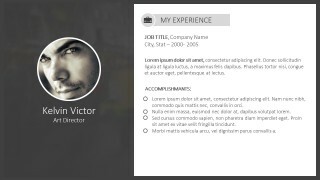 Use this resume PowerPoint templates to leverage your persona above other applicants. 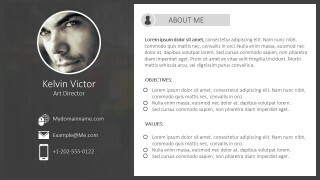 The resume template PowerPoint comes with editable slides and sections. You can list your work experience and education in this resume template. 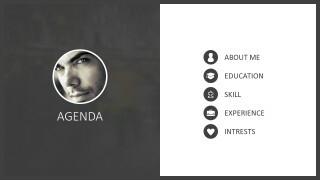 Alternatively, you can add your own photo to the placeholder on the slides and relevant details like the personal background, education, skill, experience, interests and other important information. 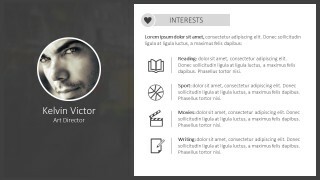 This slide resume PowerPoint templates is filled with a Kelvin Victor name but easily you can edit it and fill the template with your own name and information. 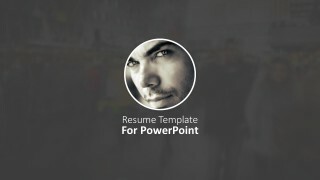 Resume Template for PowerPoint is the best way to present yourself and your works in a clean and professional way. 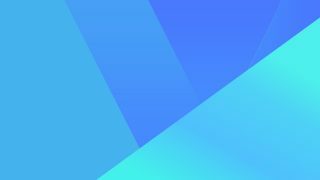 Easy to modify shapes, texts and illustrations. 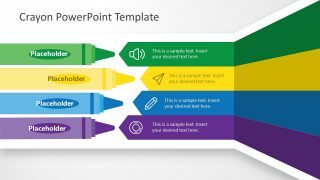 All shapes and text files are 100% editable using PowerPoint.